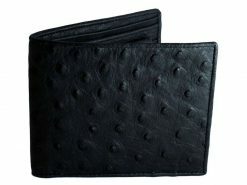 Don’t miss the opportunity to pickup this classic ostrich wallet made from luxurious ostrich leather. 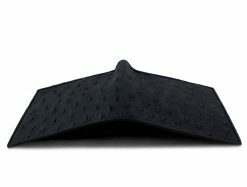 Ostrich skin can produce various types of leather, the most sought after being the “quill” from the back of this massive bird. The small raised lumps are where the largest feathers are on the body. 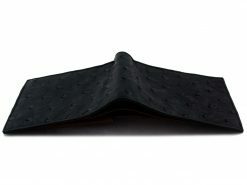 This handsome wallet looks great, feels wonderfully soft and supple and is surprisingly durable. Definitely something for a refined man. No surprises as you pull it out to pay for the champagne and caviar, what else would a gent of your standing have in his pocket? 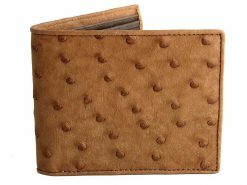 For this premium ostrich mens wallet, we’ve included an ostrich leather interior with a coin pouch, making this a luxurious wallet inside and out. 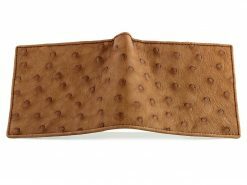 That’s why an ostrich wallet from Real Mens Wallets is so popular. 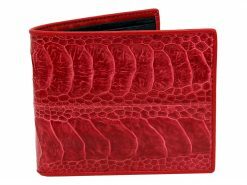 Everything we sell is 100% genuine exotic leathers. All leathers and skins come from farmed or sustainable resources. 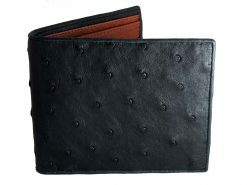 Leathers undergo as little processing as possible to maintain the natural grain and character. 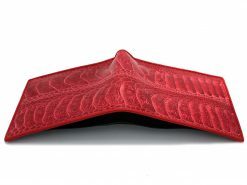 Looks good, Feels good, Folds good, This is a beautiful wallet, I’m more than happy with it, would definitely buy again, either for myself or as a gift. Delivery was quick, and emails were answered fast, Many Thanks. All orders shipped from our workshop within 24 hrs. Delivery can take between 10 – 15 business days or longer during busy holiday periods. These transit times vary worldwide and should be used as a guide only.